Trooper Gerald Ellis was killed in a vehicle collision while on patrol. He was on patrol traveling westbound on I-94 in Green Oaks when a wrong-way driver traveling eastbound in the westbound lanes struck Trooper Ellis head-on. Trooper Ellis was taken to Advocate Condell Medical Center where he died from his injuries. Trooper Ellis was a U.S. military veteran. He had served with the Illinois State Police for 11 years and was assigned to District 15 in Downers Grove. He is survived by his wife, two daughters, parents, and brother. As state officials and proud family members looked on, trooper candidates raised their right hands today and took an oath to serve and protect the people of Maryland as they officially became state troopers during the graduation ceremony for the Maryland State Police 148th Trooper Candidate Class. The 36 members of Trooper Candidate Class 148 have just completed 27 weeks of a residential police training academy, known as one of most intense and comprehensive state police training programs in the country. During six months of strict discipline and a demanding schedule, the trooper candidates received instruction in criminal and traffic laws, emergency care, emergency driving, physical training, and scenario-based training that included de-escalation and conflict resolution. “It is an honor and a privilege to be here today among so many of Maryland’s Finest, and to have this opportunity to congratulate the 36 newest members of what Governor Hogan and I believe is the finest State Police organization in the entire country,” said Lt. Governor Boyd Rutherford. “It is a testament to the kind of men and women here this morning, that even though you knew that the risks would be many and the accolades often too few, you have chosen to join this proud fellowship of MSP troopers.” “For the past 98 years, those who came before you built the tradition and reputation of providing outstanding law enforcement services the Maryland State Police is known for,” Colonel William Pallozzi reminded the graduates. “I urge you to daily remember our core values of integrity, fairness and service as you fulfill your duties as public servants who are dedicated to providing selfless service to our citizens.” In January, Class 148 participated in the Police Plunge for Special Olympics and jumped into the Chesapeake Bay after raising nearly $16,000. Class 148 finished first in fundraising among other participating police academy classes. The president of Class 148 is Jacob Rideout, from the Eastern Shore. He previously served in the US Marine Corps and was a deputy with the Caroline County Sheriff’s Office for six years. Among the members of the class, nine have prior military experience, three previously worked in law enforcement or corrections and five were Maryland State Police cadets. Three are certified paramedics and will be transferring to the Aviation Command following their field training. Nineteen of the recruits have college degrees and another 15 are enrolled in the concurrent Associate of Arts program with Frederick Community College and have been obtaining their degrees as they attend the Academy. Following a brief period of leave, the new troopers will report to barracks across Maryland to begin eight weeks of practical instruction with field training troopers. Upon successful completion of that training, they will be permitted to patrol alone. An Illinois State Police trooper was seriously injured when he was hit by a semi downstate late Wednesday, bringing to 14 the number of troopers hit by vehicles this year and eclipsing the total for all of last year. The accident took place in Collinsville, about 16 miles from St. Louis, and comes just three days after another trooper was hit on Sunday. Previous years have seen far fewer cases: eight in 2018, 12 in 2017 and five in 2016. The state police were called to Interstate 55 about 10:30 p.m. Wednesday for a crash that occurred when a vehicle left the road and hit a light pole, causing the pole to fall across lanes of the interstate, according to a release from state police. Seven vehicles hit the downed light pole before troopers arrived. The first two troopers at the scene stopped close to the pole, and a trooper in a third squad car parked farther away to give motorists more notice before coming up on the accident scene, state police said. The trooper had gotten out of his car when he and the car were hit by the truck. The trooper was taken to a hospital with serious injuries. Scott’s Law, enacted 20 years ago, requires motorists to slow down and try to move over when they see a parked squad car, fire engine or ambulance with flashing lights, or any vehicle with flashing hazard lights engaged. It was named for a Chicago firefighter who was killed by a drunken driver at a crash site. Violators can face fines up to $10,000 and possible license suspensions. In criminal cases, a driver can receive a more severe sentence for violating Scott’s Law. The first quarter of 2019 has seen a spike in incidents, including the death of Trooper Christopher Lambert, 34, who was hit by a passing motorist in January. State police have stepped up enforcement of Scott’s Law and have sought to raise awareness through social media. Between Jan. 1 and March 6, troopers issued 366 tickets for violations, compared with 138 for the same period last year. For all of 2018, troopers issued 881 citations, according to data provided by the agency. A Maryland State Police trooper candidate will defy odds when he walks across the stage at his police academy Friday. 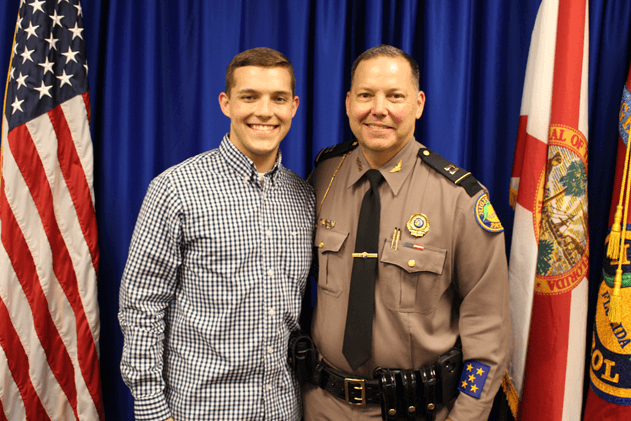 Derek Harper will become third-generation state trooper in his family as his father Sgt. David Harper will be waiting for him at the end of the stage to pin a gold badge on his uniform. His father is a 28-year veteran of the state police. “Sgt. Harper said he never once told Derek he wanted him to become a Maryland state trooper. He said his son first indicated he might want to follow in his father and grandfather’s career choice when he was in middle school,” state police said in a statement. At the age of three, Derek was diagnosed with cerebral palsy that affected his legs. Initially, he had many doctor visits and therapy at Kennedy Krieger Institute in Baltimore. He got shots in his legs and wore braces to help him balance. In 2007, Derek had major surgery on his legs and wore casts for six weeks. Despite the obstacles, Derek’s dad and mom, Sandy, never wanted him to restrict him from trying things. He played T-ball, soccer and ran cross-country in elementary school even in braces. He was a cub scout, Civil Air Patrol, joined band and even attended a boot camp run by military and police officers in Pennsylvania that focused on law enforcement. When Derek graduated from high school in 2016, he passed the physical fitness test and was hired by the Maryland State Police as a cadet. He was assigned to the Commercial Vehicle Enforcement Division New Market scale house and passed every physical test cadets received. In Sept. 2018, Derek joined his police academy class. “He has endured the rigors of a six-month residential police training academy that is known as one of the toughest in the country. He enrolled in the concurrent degree program with Frederick Community College and will complete his Associate of Arts degree in criminal justice soon after graduating from the Academy,” the state police said. “He has endured the mental, physical and emotional challenges this intense training has presented him with. He has overcome each one.” Derek’s grandfather was also a state trooper. “I’ll be thinking that’s my little boy, who I had to carry around because he couldn’t walk too far. Now, look how far he’s come,” said Sgt. Harper, when asked what he will be thinking when his son walks across the stage. 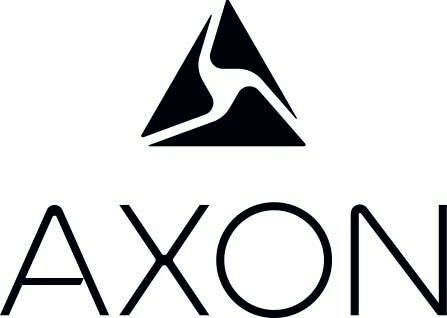 Axon (Nasdaq: AAXN), the global leader in connected public safety technologies, today announced that the Tennessee Highway Patrol will roll out 700 Axon Fleet 2 in-car camera systems backed by the digital data management solution Axon Evidence (Evidence.com). 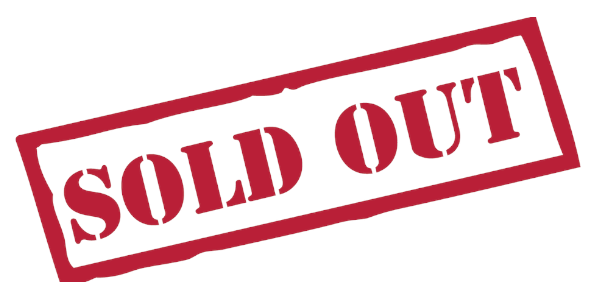 This order was received in the first quarter of 2019 and will ship in multiple phases. 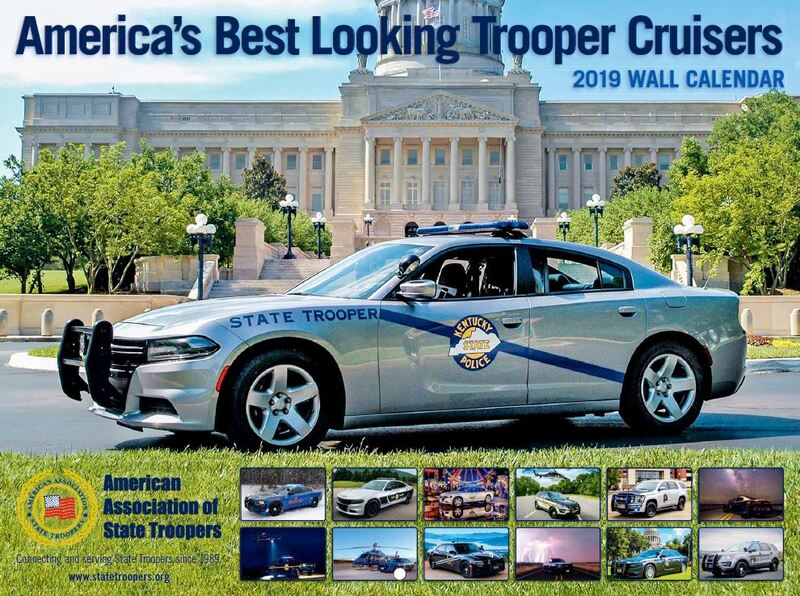 “It is absolutely critical for our troopers to have the best equipment available that meets or exceeds our requirements,” says Tennessee Highway Patrol Colonel Dereck Stewart. “I believe that the Axon Fleet 2 in-car video system does just that.” Axon Fleet 2 in-car video systems include a forward-facing and a rear-facing camera Axon is a network of devices, apps and people that helps public safety personnel become smarter and safer. With a mission of protecting life, our technologies give customers the confidence, focus and time they need to keep their communities safe. Our products impact every aspect of a public safety officer's day-to-day experience. We work hard for those who put themselves in harm's way for all of us. To date, there are more than 347,200 software seats booked on the Axon network around the world and more than 213,000 lives and countless dollars have been saved with the Axon network of devices, apps and people. Learn more at www.axon.com or by calling (800) 978-2737. Police say a Vermont State Police trooper who collapsed after apparently being exposed to an opioid-like drug during a traffic stop was revived by fellow troopers who administered the overdose-reversal drug Narcan. Acting Sgt. Brett Flansburg stopped a vehicle for a traffic violation in Leicester late Friday. Flansburg searched the car after a passenger admitted swallowing a small bag of cocaine. He collected a small quantity of heroin, an empty plastic baggie and a syringe. The passenger was taken into custody by other troopers. Flansburg began to feel ill and he collapsed in the parking lot of the New Haven barracks. Other troopers administered two doses of Narcan. He received a third dose on the way to the hospital. Flansburg was later released from the hospital. Detectives are launching a full investigation into the incident and testing is underway to determine what substance made acting Sgt. Brett Flansburg ill. "Now there is a new threat that we're seeing up close: the risk of exposure to powerful drugs that can kill in even tiny amounts," Col. Matthew Birmingham, the head of the state police, said Saturday. "This is so troubling and disconcerting, and it places members of law enforcement at unnecessary risk of possibly losing their lives. " Similar incidents have been reported in other parts of the country in which police officers overdose after accidentally coming into contact with opioid-based drugs. Two Indianapolis men were arrested for dealing marijuana after a traffic stop on Interstate 70 Wednesday morning. A state police trooper stopped a box truck on I-70 eastbound near the Mooresville/Plainfield exit for following too closely. While talking with the men, the trooper detected the aroma of marijuana and searched the vehicle. During that search, the trooper discovered the men were transporting approximately 250 pounds of marijuana and 50,000 vape cartridges filled with THC in the cargo area of the truck. The street value of the marijuana is estimated at $2.5 million, while the vape cartridges are valued at about $1 million. A Michigan State Trooper was saved with Narcan after coming into contact with a mix of fentanyl and cocaine Wednesday. Troopers were in Lincoln Park, Mich. on a drug bust when at 3:30 p.m. troopers stopped a vehicle in the 800 block of Capitol, assisting the Downriver Area Narcotics Association task force. At some point during vehicle and driver search, one of the troopers came in contact with a cocaine and fentanyl mix. He started to have symptoms consistent with an overdose, according to MSP Lt. Mike Shaw. "The trooper's partner recognized those signs and immediately administered two doses of Narcan," he said. "Troopers keep them in their cruisers at all time. Immediately the trooper started to recover but was taken to the hospital as a precaution." Shaw said that dealing with cocaine and fentanyl can be very dangerous. "The trooper did not even realize he came in contact with the drug," he said. "It can get into your system through your skin, breathing or eyes. Depending on what it’s cut with you can die from an amount small enough to fit on the head of a pin." A Colorado State Patrol trooper was killed Wednesday in Weld County when he was struck by a vehicle on Interstate 76. Cpl. Daniel Groves was outside his patrol car checking on a vehicle that had slid off the roadway when he was hit by a 2001 Volvo driven by John Carpenter, 58, of Centennial, the patrol said. Groves, who joined the State Patrol in 2007, was taken to Platte Valley Medical Center in Brighton where he was pronounced dead. Carpenter also was treated at the hospital for minor injuries. The cause of the crash is under investigation but the State Patrol is looking at high speed under poor driving conditions as a possible factor. A Florida family got the star treatment in the City of Brotherly Love when their 3-year-old daughter got to be the boss Wednesday of her own patrol. She's in Philly to fight cancer with help from the Children's Hospital of Philadelphia. Princess Rose Ramirez arrived at State Police Troop K with patrolmen at attention as Lt. Joseph Altieri handed over command to the brave 3-year-old battling cancer. "We hope her first big hat will keep her strong and determined through this extremely difficult fight," Lt. Altieri said. Rosie has stage 4 neuroblastoma. Florida State Police Sgt. Jose Ramirez and his wife, Nicole, a former prosecutor, had to temporarily relocate from Orlando to Philadelphia for Rosie's treatment. The little fighter has had four rounds of chemo so far and surgery to remove most of the large tumor that also forced the removal of one of her kidneys. "It's very emotional we have the kind of support from complete strangers," Sgt. Ramirez said. A GoFundMe page has been set-up to help with expenses. If you wish to donate, please click here. If you want to follow her journey, visit the Team Princess Rose Facebook page, here. The Oklahoma Highway Patrol will be featured on the A&E show Live PD, according to a tweet from the Oklahoma Department of Public Safety. The show, which airs on A&E on Friday and Saturday nights, documents police night shift work in real time at departments across the country. Crews will carry OHP live beginning with the March 29 episode, according to the tweet. More than five dozen new California Highway Patrol officers were sworn in Friday morning in West Sacramento. It’s a day 29 weeks in the making. “I’m super proud of myself obviously. I know they’re really proud of me too,” said Officer Michael Qualls. Sixty-three cadets stood before their friends and family to be officially sworn in as officers of the law, taking the same oath as every CHP officer before them. But these cadets are the first to do it before California’s new governor. “Incredible heroism and sacrifice these people make every single day, putting themselves on the line and I think that needs to be recognized,” Gov. Gavin Newsom said. Newsom attended the graduation ceremony and says the work of law enforcement officers is more important now than ever. “Conditions that have changed radically since I started in public service. The issues of mental health, the issues out on the streets of homeless and the interactions, a lot of very difficult challenges, and of course the most vexing— the issues of implicit bias and de-escalation,” Newsom said. As they shook hands with the governor and accepted their badges, many of the new officers reflected on the sacrifices it took to get here. “I was super nervous. I expected to like never see my family, never talk to them, be tortured here and you’re still kind of tortured and you see them a lot less, obviously, but when you do get to see them, it’s just enough to get you through the next week,” Qualls said. Not just sacrifices on their part, but those their families made too. “Very difficult, actually. I learned a lot about myself, so today I see it also as my graduation because I had to learn to do a lot of things without him, so definitely is crazy to learn how to be a single parent in a way, but it was worth it,” said Qualls wife, Brieana. Qualls was named most inspirational by his peers. And his wife says she isn’t at all surprised. “Never once did I ever say he was going to fail. I knew he was going to make it and I knew how much this was meant for him. He was meant for this job,” Brieana said. Gov. Newsom says his schedule next Monday and Tuesday will be devoted to meeting with lawmakers to discuss issues surrounding policing and use of force.